Terms and Conditions that protect your business are incredibly important. Having good, clear terms & conditions ensures you engage with customers on your terms, not theirs. 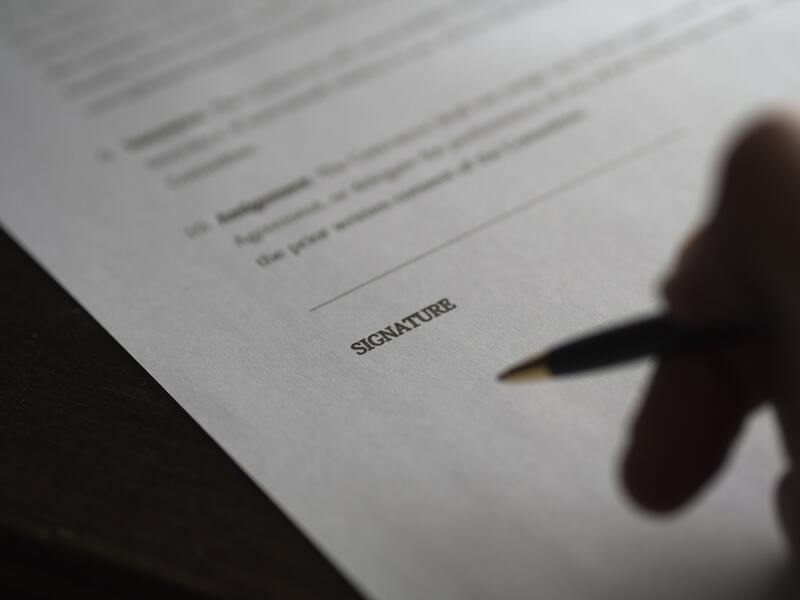 When considering our contracts, terms and conditions we should keep in mind some key points. It seems obvious but don’t underestimate how important it is to provide a clear definition of what product and services will be provided. Clearly state your billing and price structure making sure this includes your rates and whether you charge by the hour or by the project or per item. Try to include all potential charges so there is reduced opportunities for disputes later. What is the expected project timeline / delivery? Always indicate the length of the contract if applicable. This is particularly important if you are providing a service over a set period of time. Set out timelines for queries and delivery and always state if you have any flexibility or contingency in the timescales for delivering the product or service. You can even set specific hours for when clients can contact you to avoid frustration if you aren’t able to respond to requests out of hours. There’s little point telling your customers how much they need to pay if you forget to mention when you expect that payment! Make sure you clearly state your payment terms. What happens in the event of late payment? Do you charge interest? Late payment fees? Where you deal with consumers you will need to spell out specifically the costs of late payment. Where you deal with businesses you are likely to be covered by the Late Payment of Commercial Debts (Interest) Act 1998. You’re able to see the legislation here. Setting out warranties and guarantees on what you are prepared to give about products or services can be an attractive selling point and will put your customer at ease. However, be careful as this will give the customer the contractual right to sue if you breach the warranty. Which law governs the contract? Always include an applicable law clause which indicates which law governs the contract. For example, ‘This contract shall be governed by and construed in accordance with the laws of England’. A customer cancelling an order after you’ve already bought supplies can cause significant problems to your cash flow. 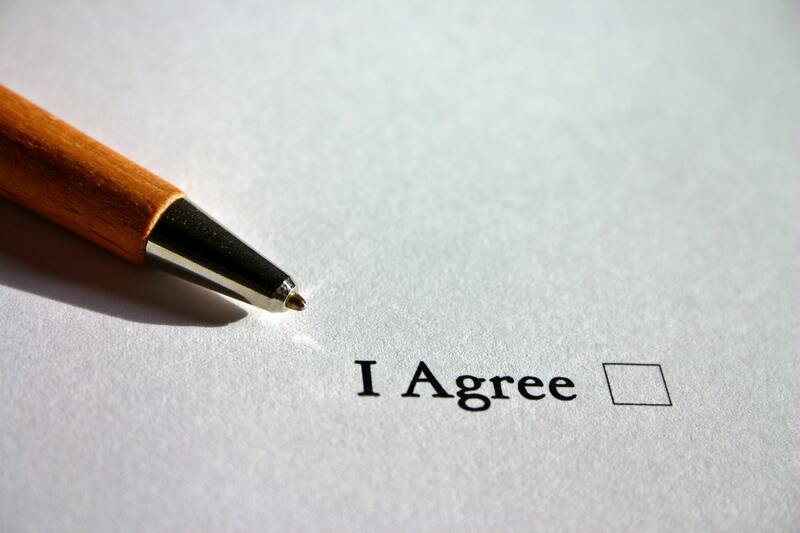 Your terms and conditions should set out the circumstances in which your customer (or you) can terminate the contract. Specify exactly what happens in the event either party doesn’t deliver, pay or wants to end the relationship. Also, you may want to consider including a Force Majeure clause to cover you when it is not possible to provide the products or services and it is not your fault. For example, if there is a natural disaster or civil unrest. What do you do with customer data? How do you deal with sensitive information? If your business deals with sensitive information (whether commercially or personally) you should protect this information by including a confidentiality clause. This should identify the information and explain when, and in what circumstances it can be disclosed. If the contract is for the creation or production of a product, it’s worth establishing who owns the completed work (and when or if title passes). This is particularly important if you want the rights to use the work in your portfolio or if your client may use or modify the final product. Always prepare for the worst! In the event something goes wrong your customer will want to know what protection they have. Establish this by including your level of liability or responsibility in your terms and conditions. Explain what you will and will not accept responsibility for and when your customer should raise any problems they have – this could help stop disputes being raised when invoices are due. Waters & Gate offer both commercial and consumer debt collection. The service is based on a no win, no fee policy and as standard for our clients we offer a review of your terms and conditions to put you in the best place possible. Read our last blog ‘Understanding your Customers’.